Cradled by the bluffs of the War Eagle Creek in the heart of the Ozark Mountains, Withrow Springs State Park is a peaceful setting for relaxing camping and quiet floats along this scenic mountain stream. 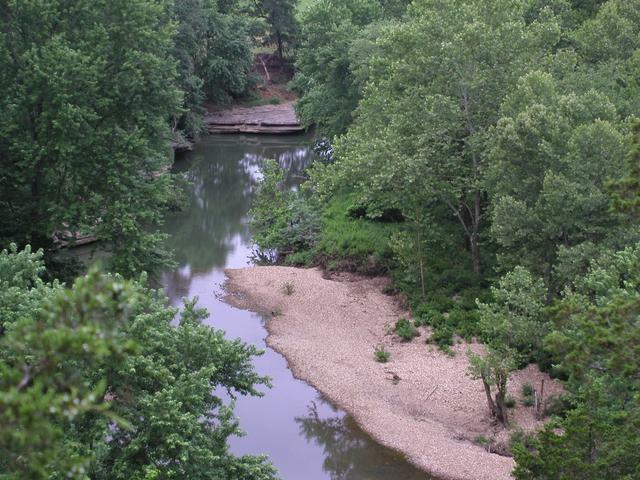 Here in the natural beauty of the renowned Ozarks, you can also enjoy hiking, swimming, tennis, and fishing for catfish, bream, perch, and bass. The park also offers picnic sites, pavilions, a snack bar, gift shop, baseball and softball field, and crossbow range. Rental canoes are available at the park, and the park staff offer shuttle service for floaters. The park's campground now features 30 new campsites. Nestled in shaded woods, the new camping area offers 30 Premium A campsites with water, electric (up to 50 amp service), and sewer hookups.Each campsite can accommodate either an RV and/or a tent. This camping area also features a new barrier-free bathhouse. The park's campsite choices also include 17 Standard B sites with water and electric hookups. Description: The trail is named for the scenic river which runs along its length. A small cave with rock formations is located about halfway down the trail. Past the cave and through the beautiful Ozark hardwood forest, a scenic overlook is located atop a 150-foot-high bluff. A great view of the river and mountain countryside makes this trail very popular. Tent camped for two nights! Very nice park! Fire pits and grills were cleaned. Check in staff was very helpful and friendly. Would stay here again. Clean, modern, superior RV sites! Level, paved pads, with additional finished tent pads. Bath house is clean, modern, in excellent condition. We stay thr week or spring break this a great park clean and friedly well laid out will stay again. 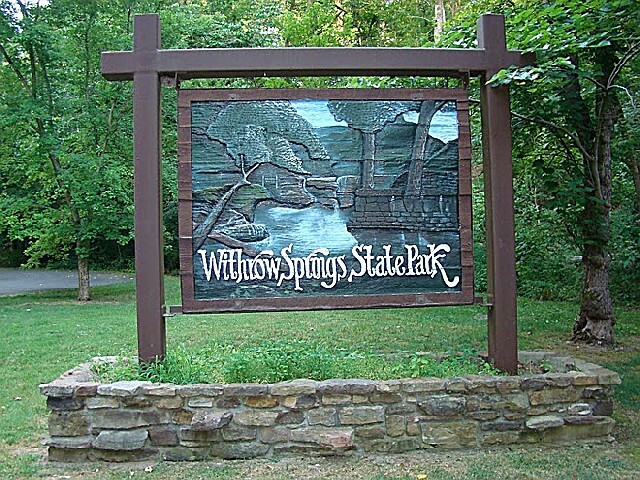 Withrow Springs State Park is located five miles north of Huntsville on Ark. 23; or 20 miles south of Eureka Springs on Ark. 23.